Front upper control arm bushing - inner at rear. Two required per car. 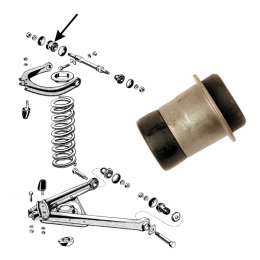 So you are replacing suspension bushings�do it once and do it right. Our suspension components are the best available and made to last.